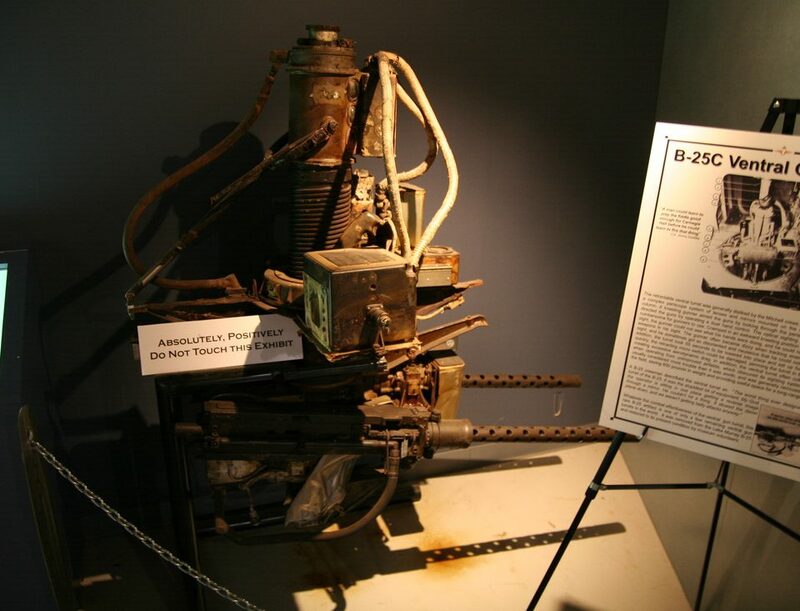 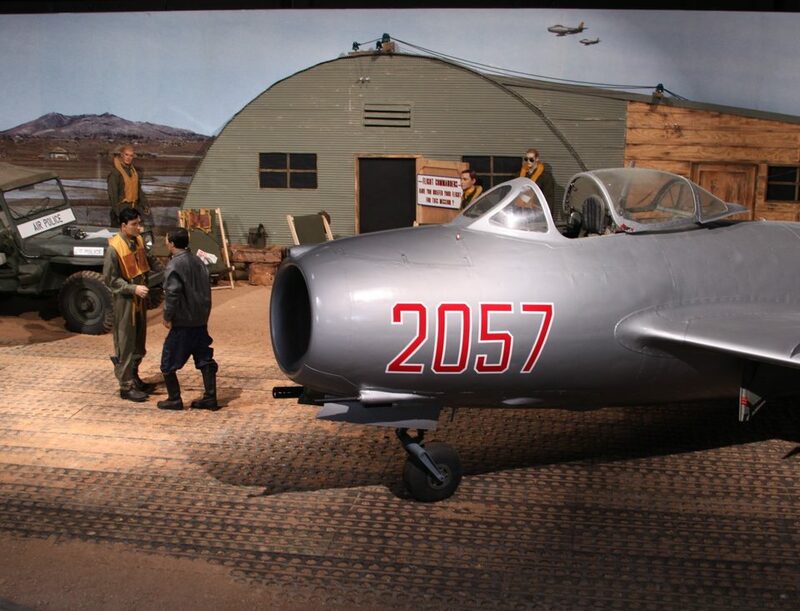 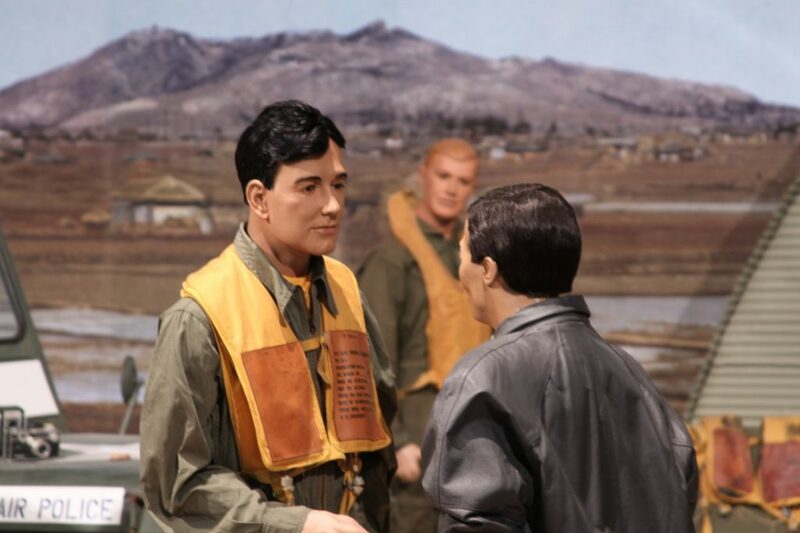 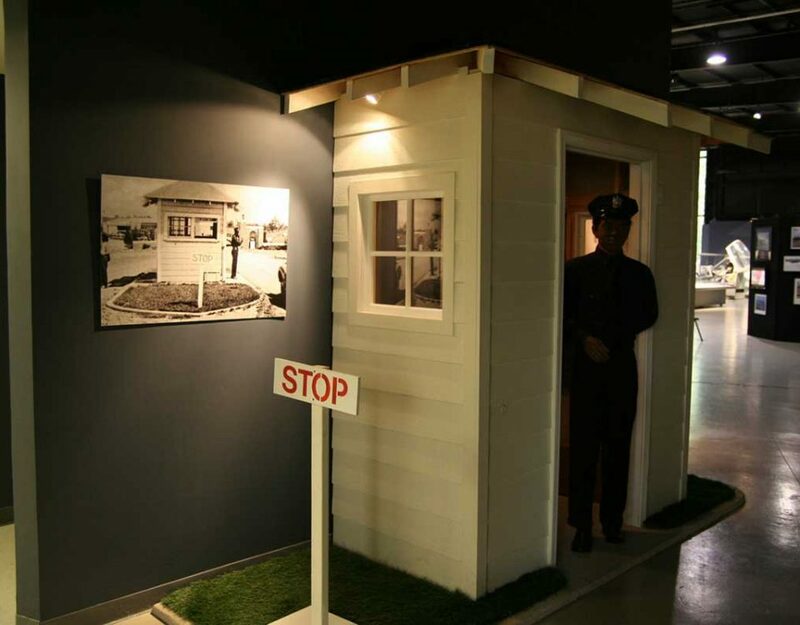 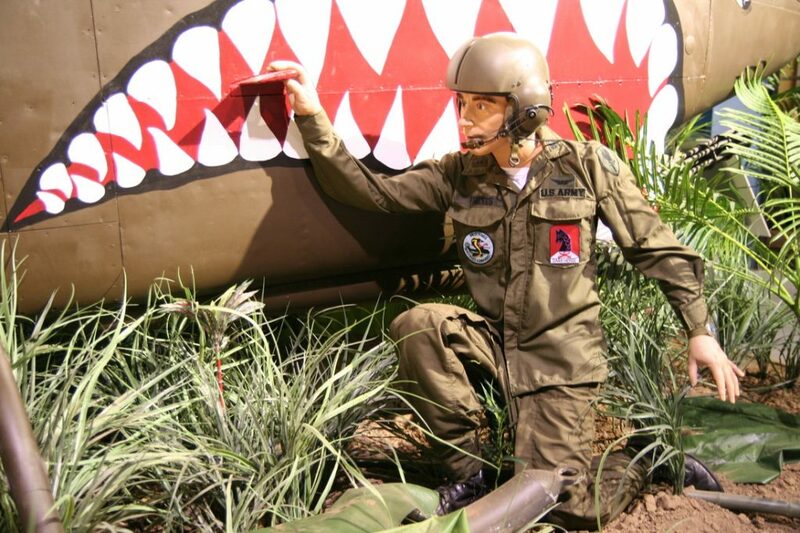 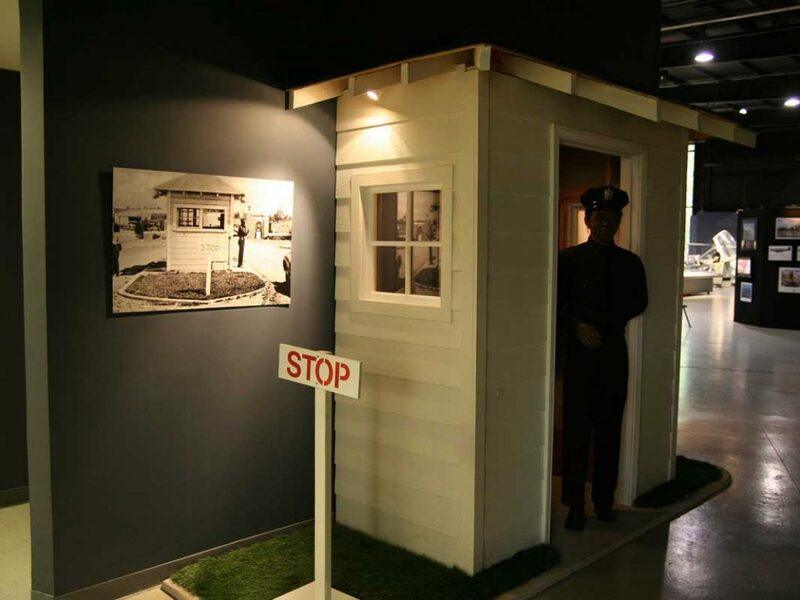 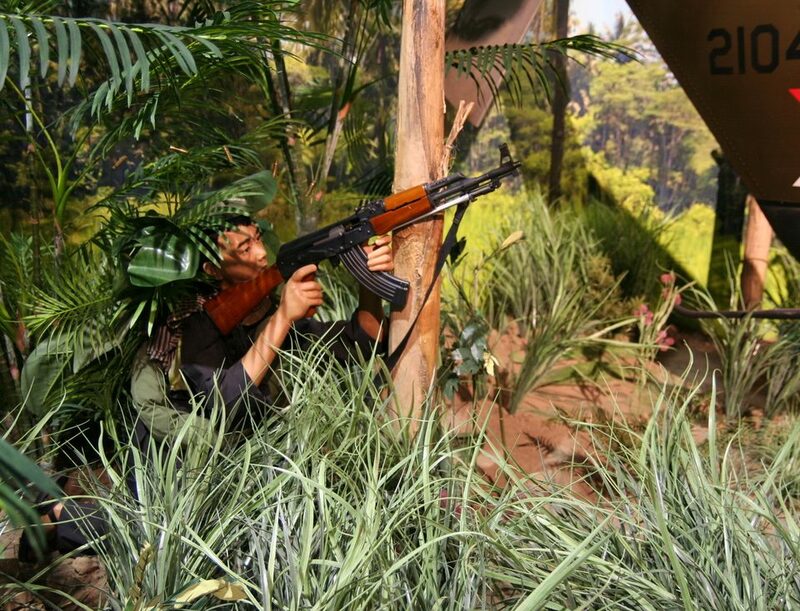 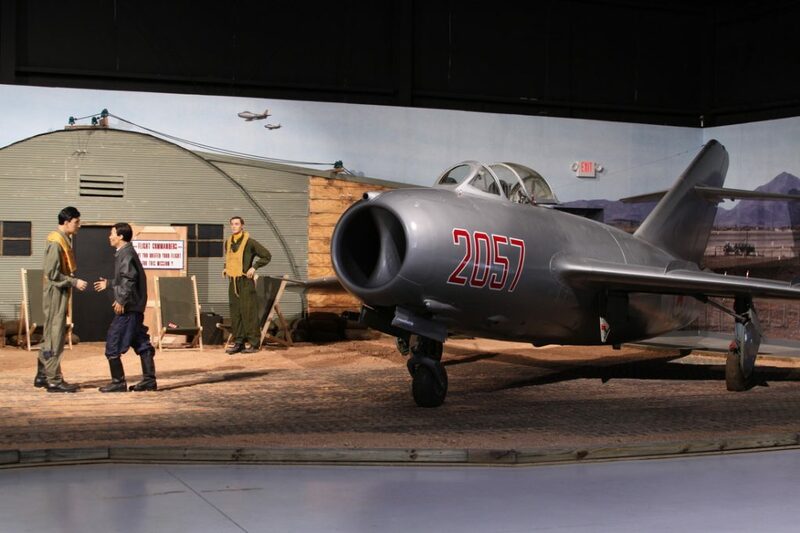 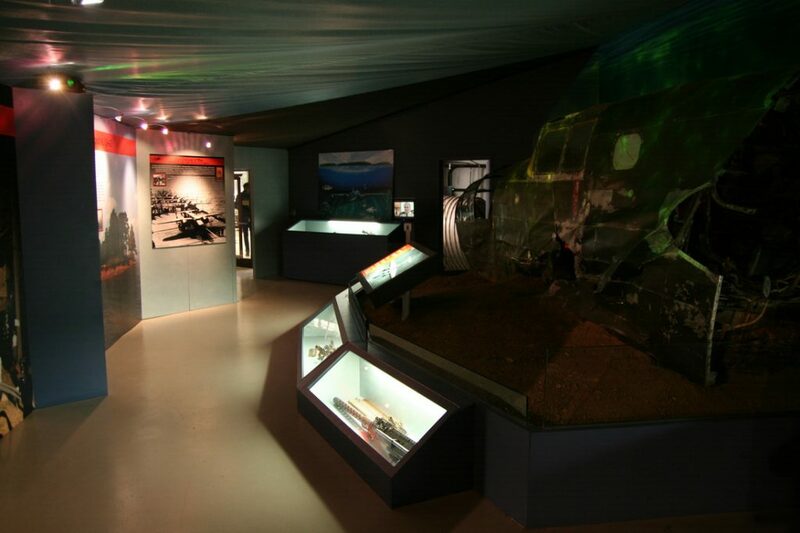 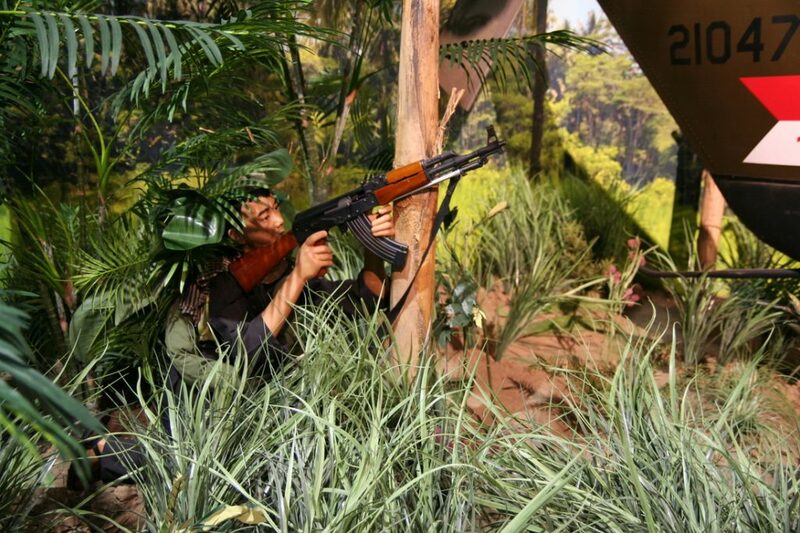 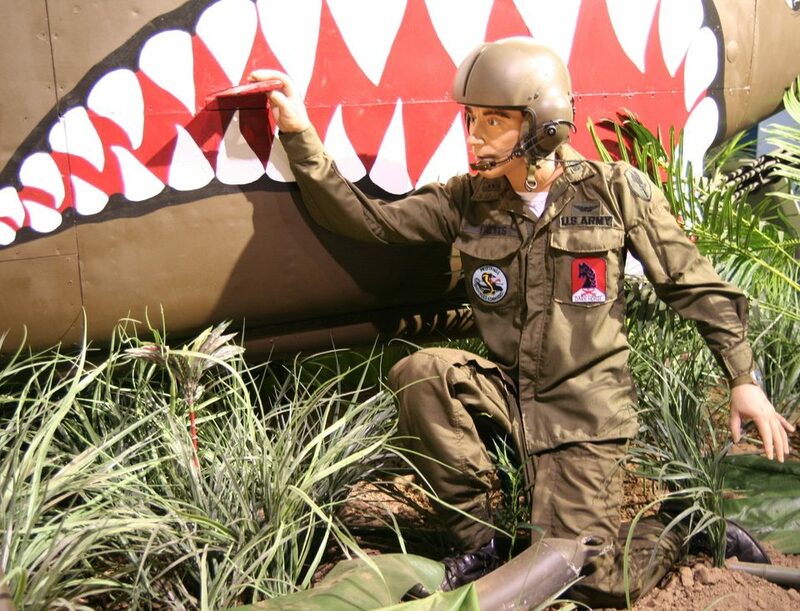 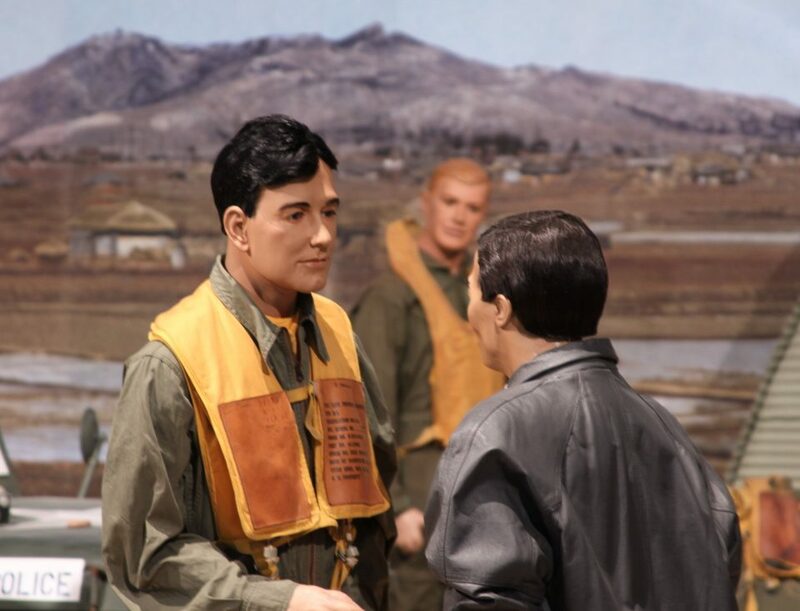 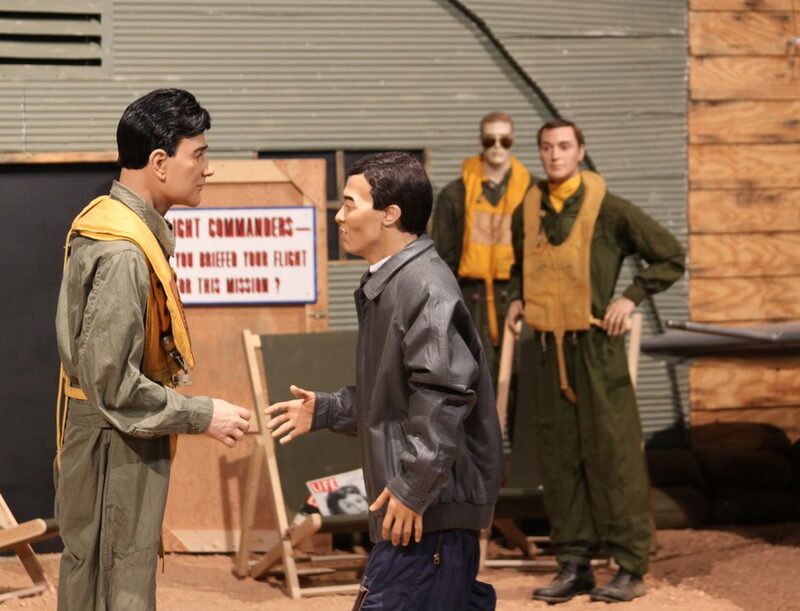 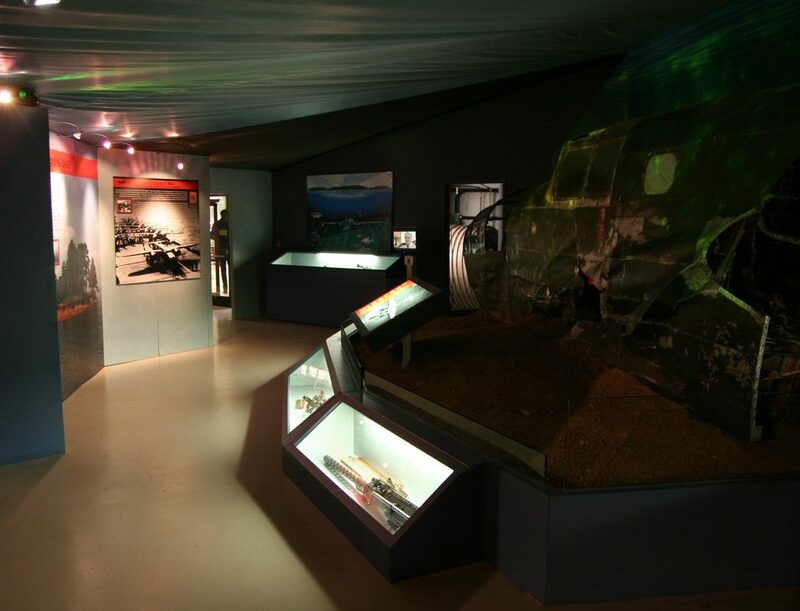 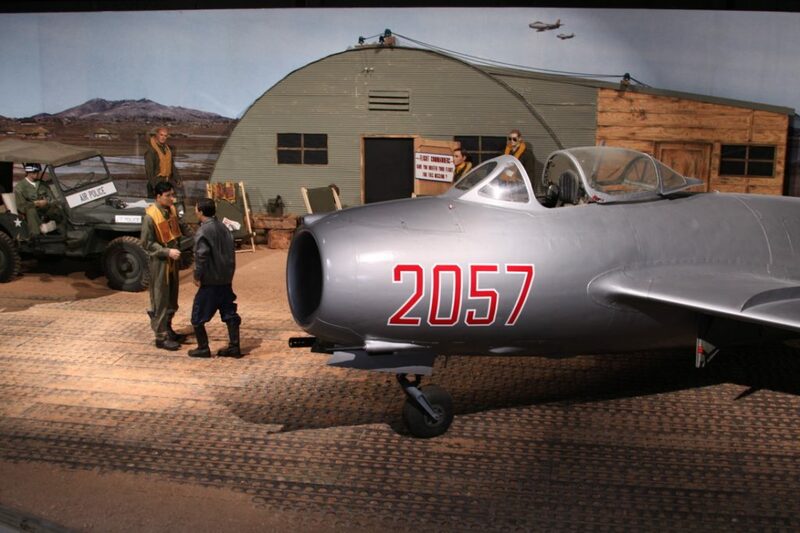 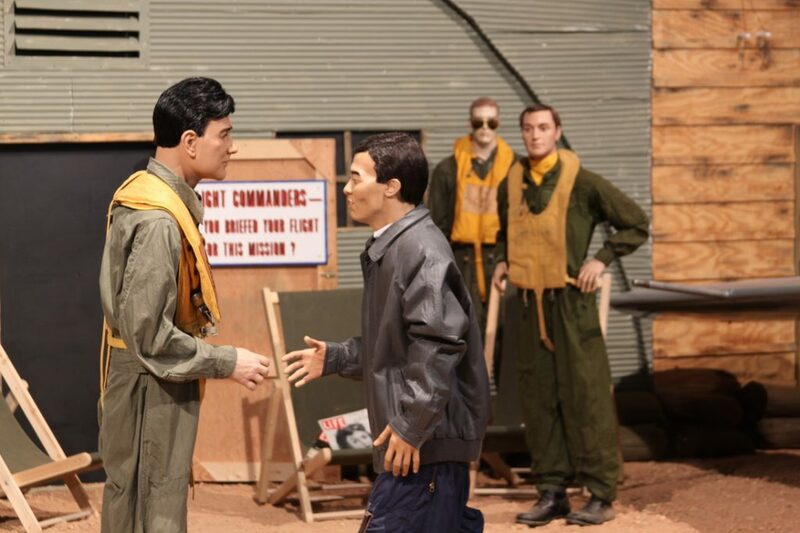 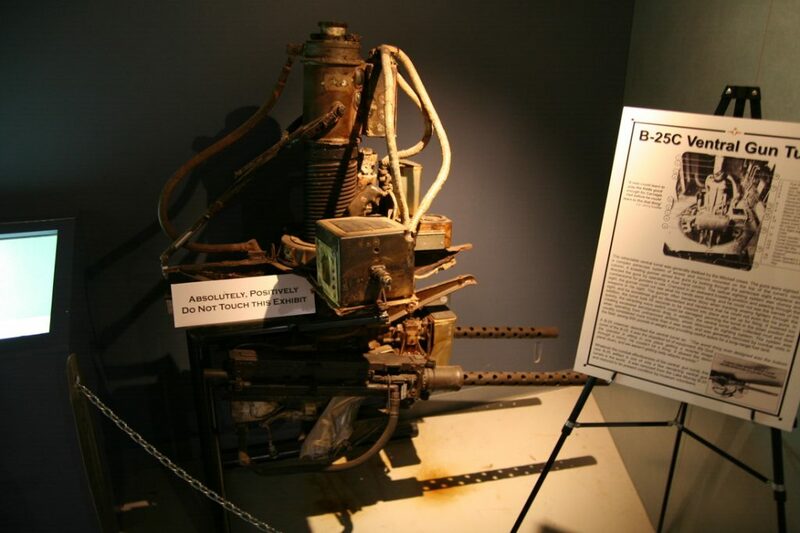 The unique diorama display of Kimpo Air Force Base in South Korea highlights the defection of Lt. No Kum Sok (Kenneth Rowe), a 21-year old, elite North Korean Air Force pilot, as well as the historic events that transpired following the defection. 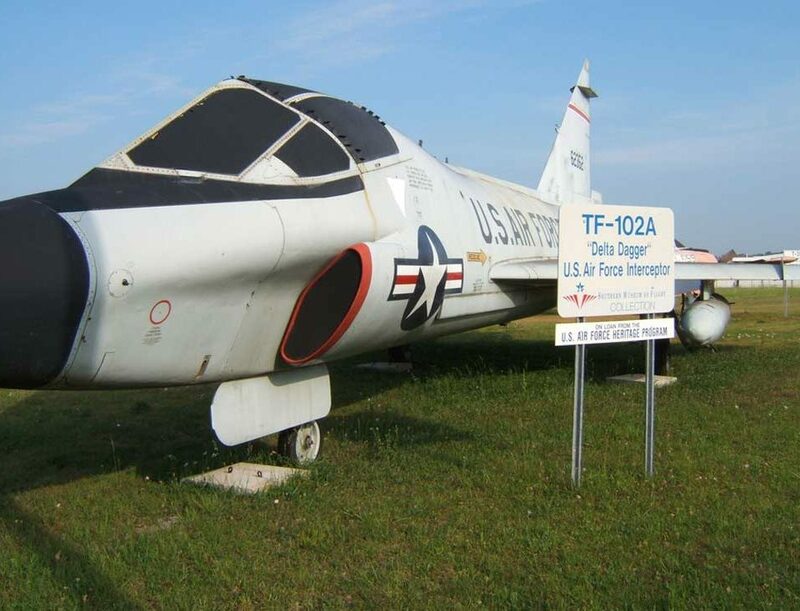 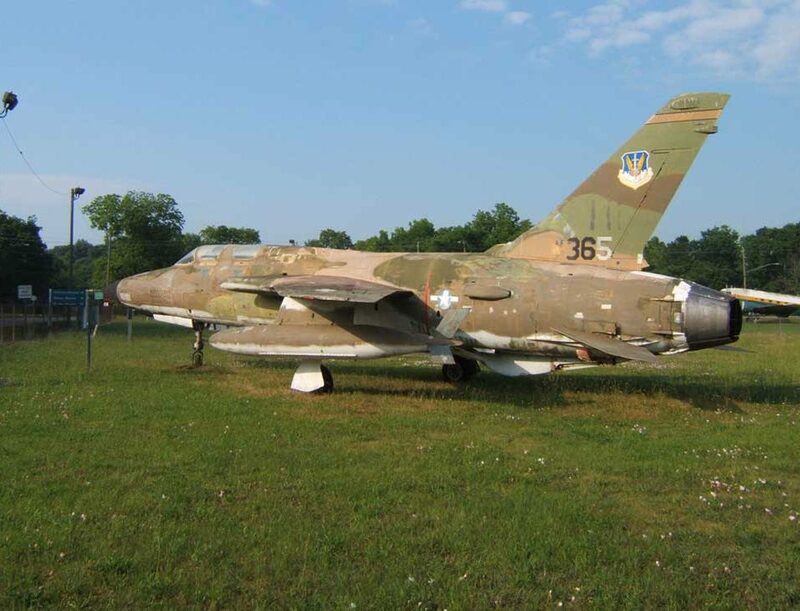 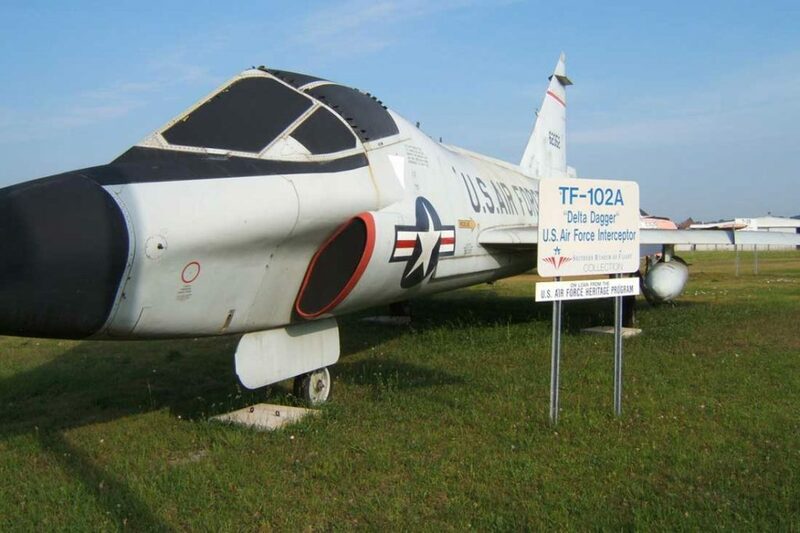 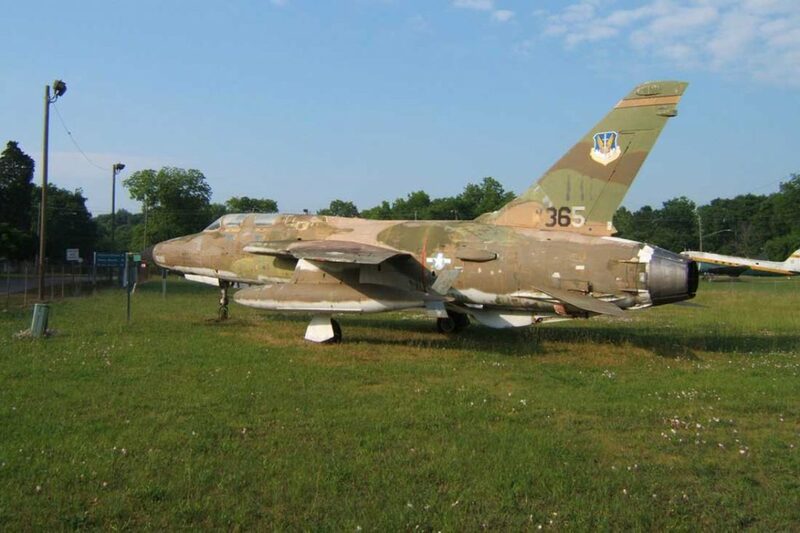 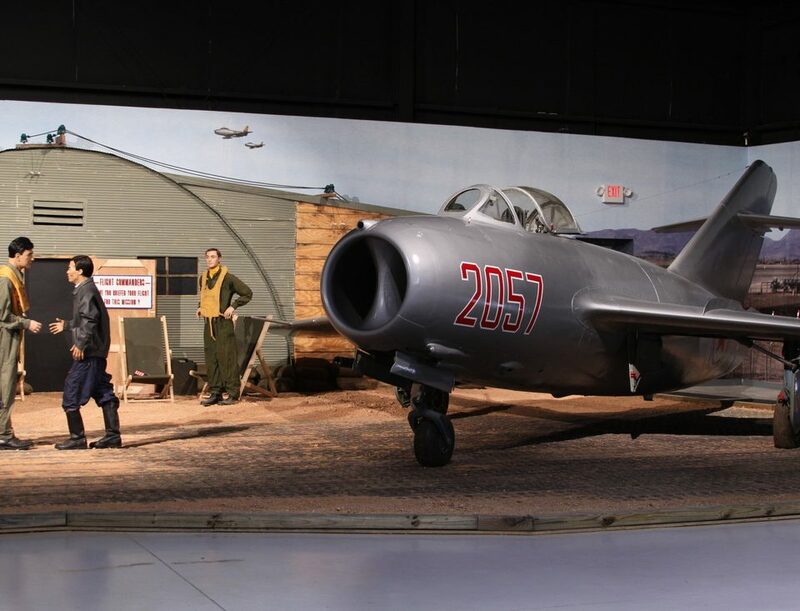 It features two of the primary fighter jets that became adversaries during the Korean War era – the F-86 Sabre and the MiG-15. 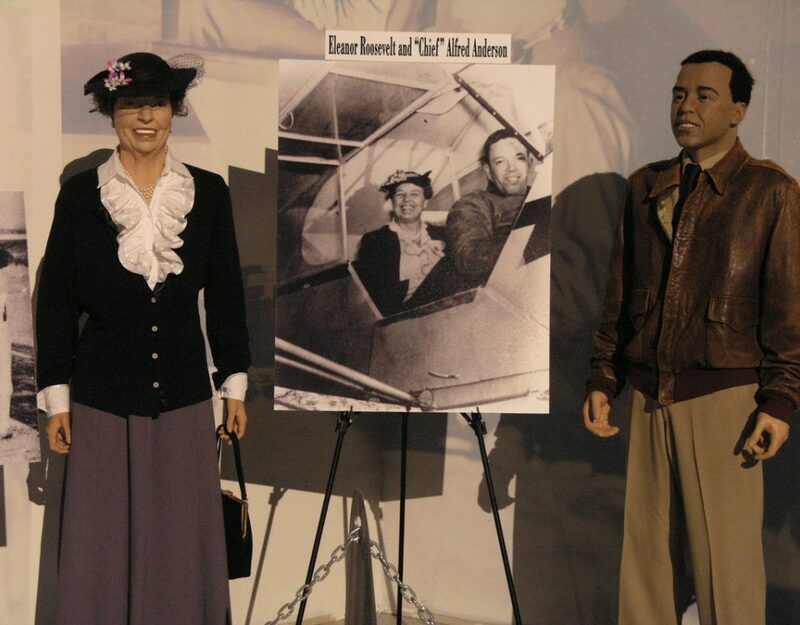 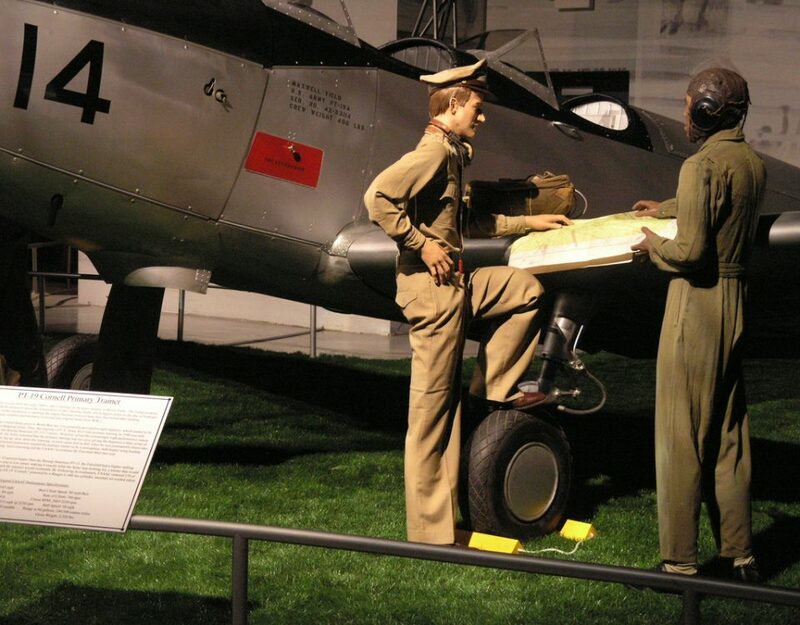 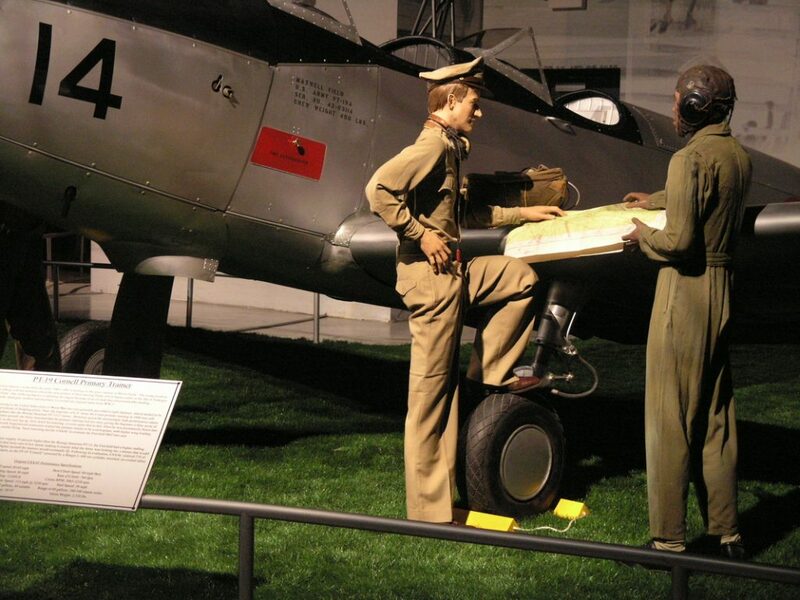 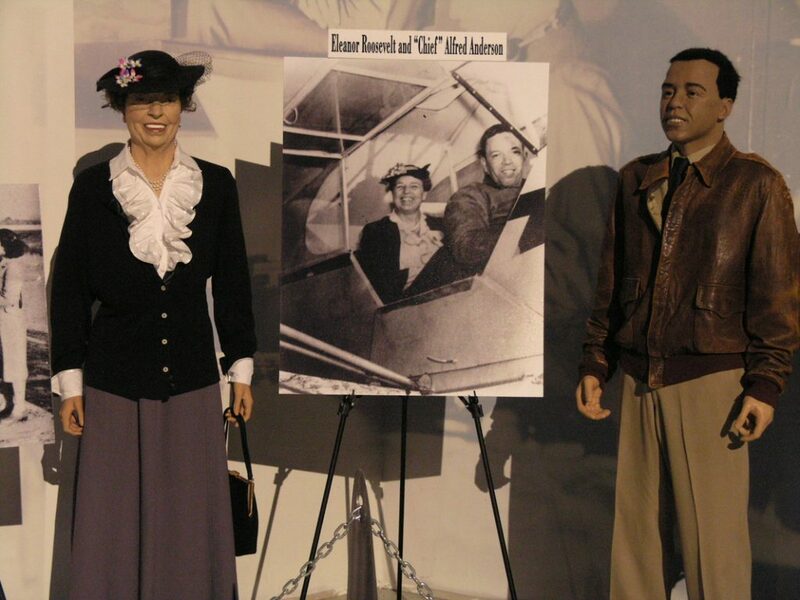 This extraordinary diorama display honoring Alabama’s famed Tuskegee Airmen is more than an exhibit. 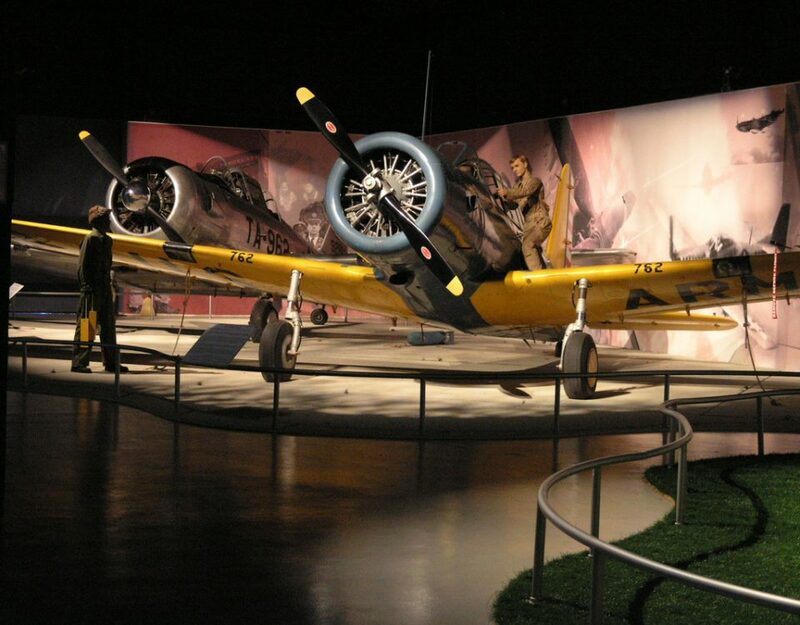 It is a spotlight shining down on a significant period of American history, and this tribute highlights such an extraordinary group of men who continue to provide inspiration for anyone who dares to dream. 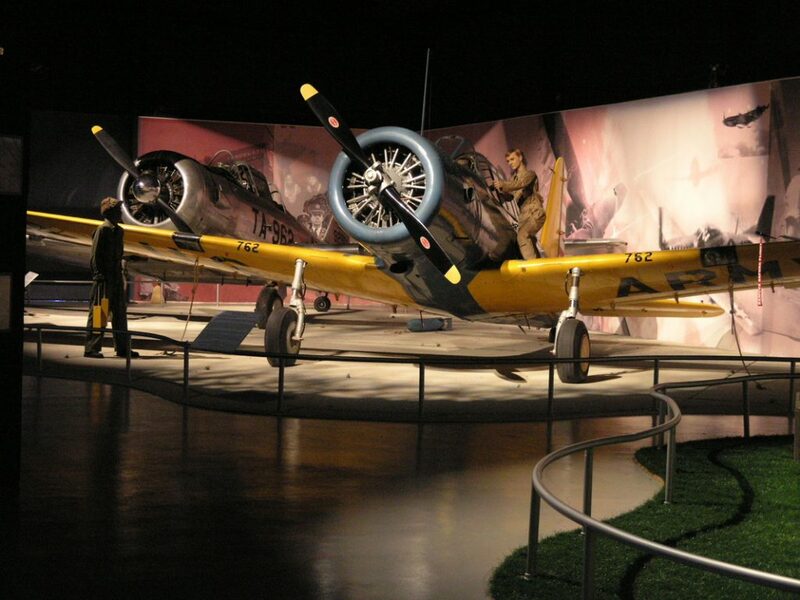 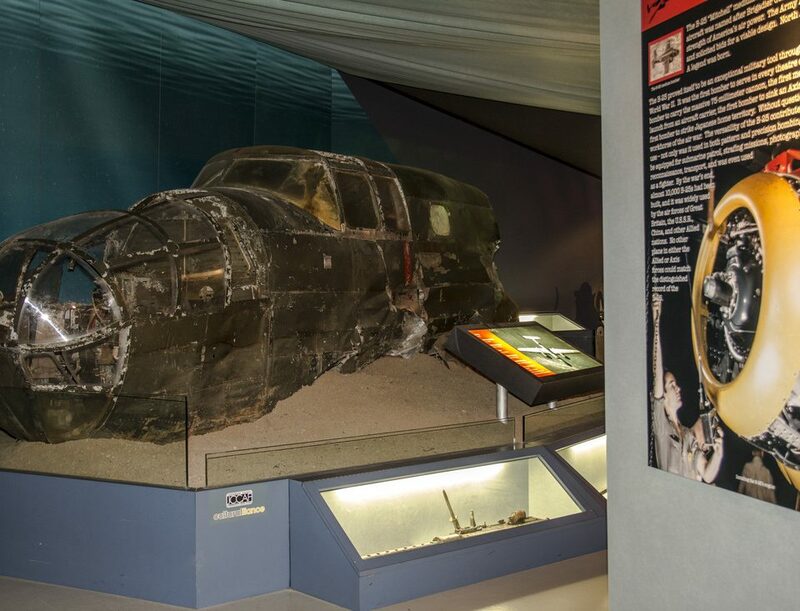 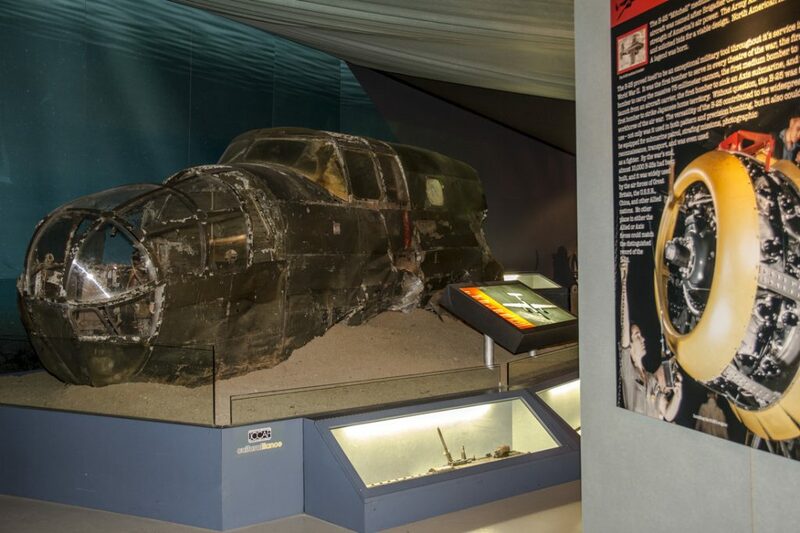 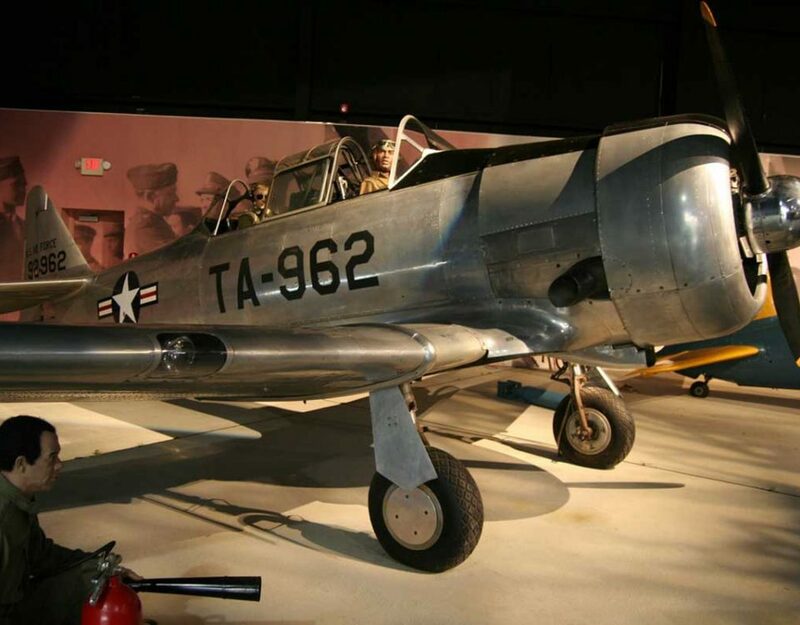 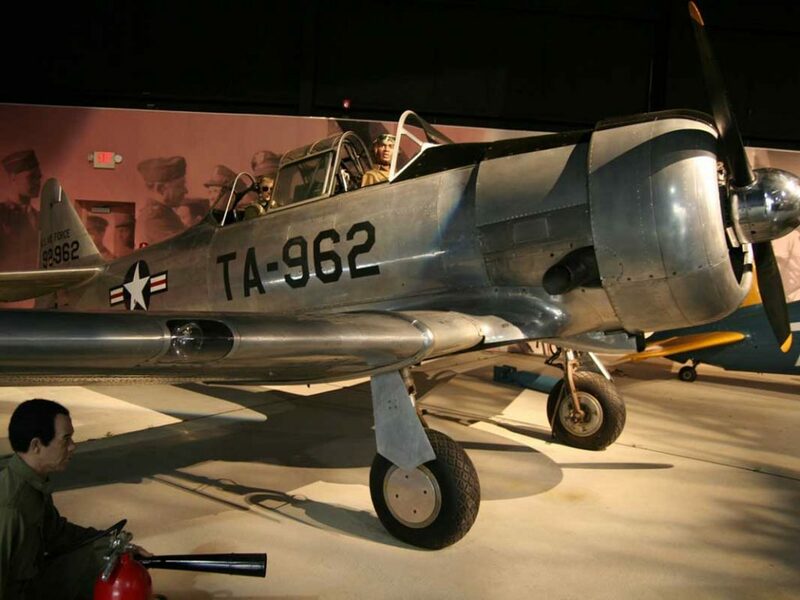 The exhibit features a number of World War II era trainers including a North American AT-6 Texan, a Vultee BT-13B Valiant, and a Fairchild PT-19 Cornell. 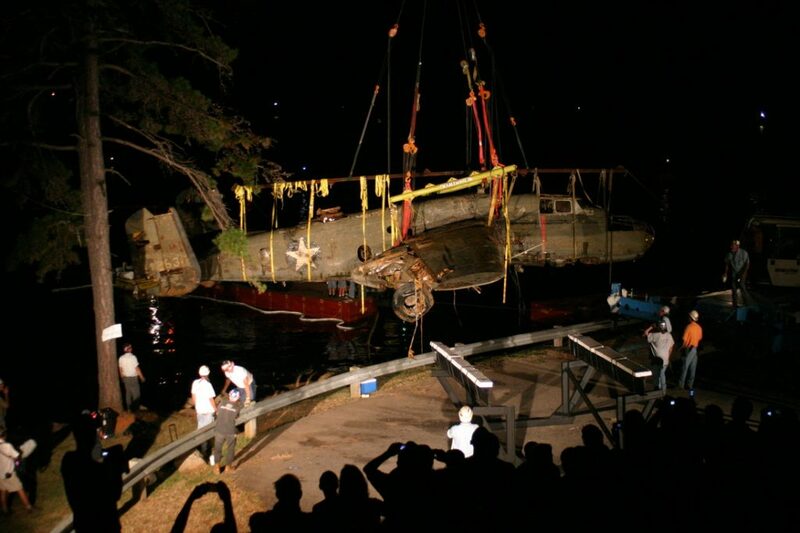 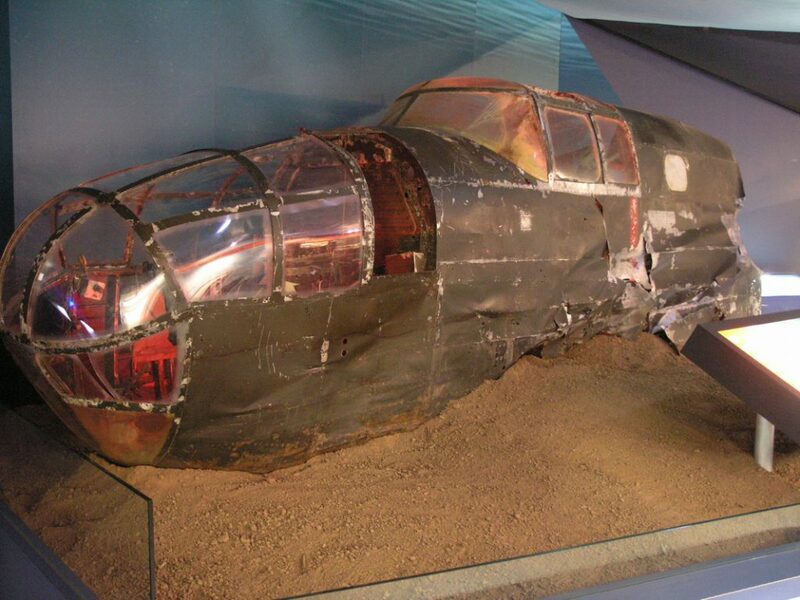 Featured on the History Channel, The Lake Murray B-25 was recovered from the depths of Lake Murray, South Carolina in 2005 after 62 years. 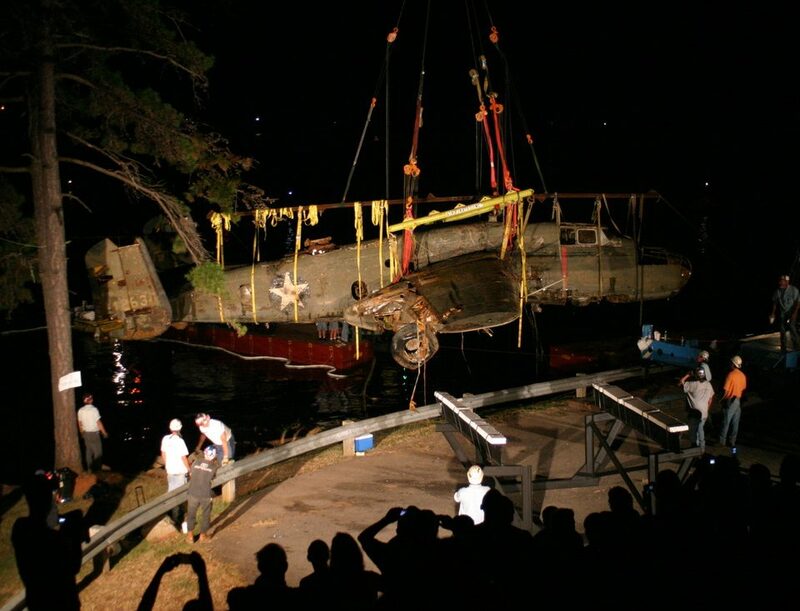 Lake Murray was home to “Bomb Island”, where the USAAF conducted training exercises during World War II. 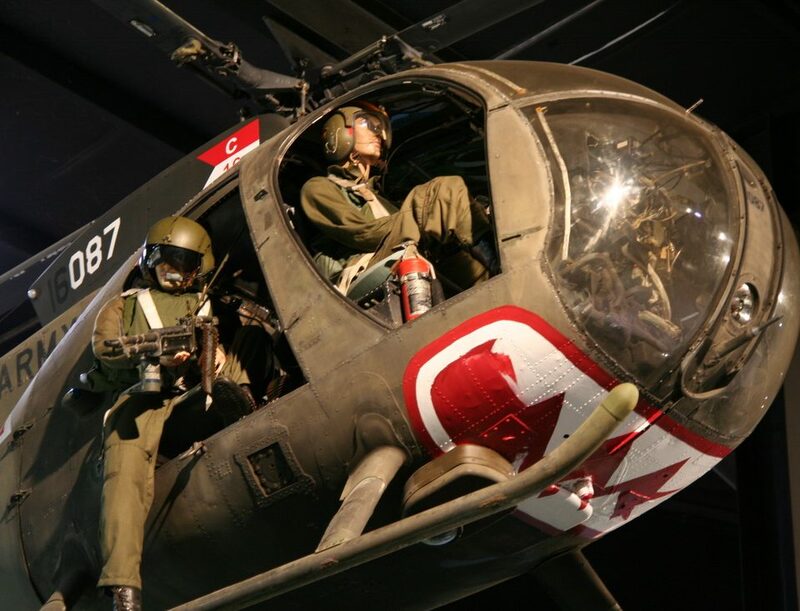 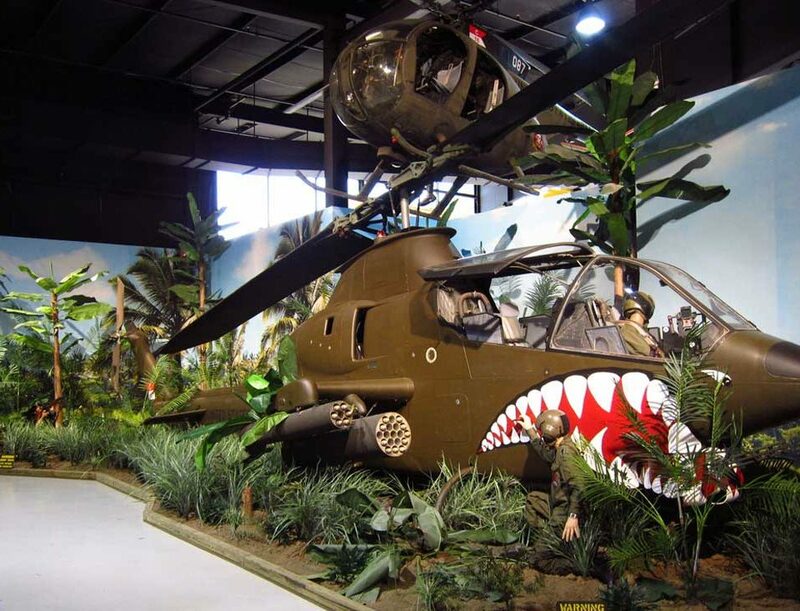 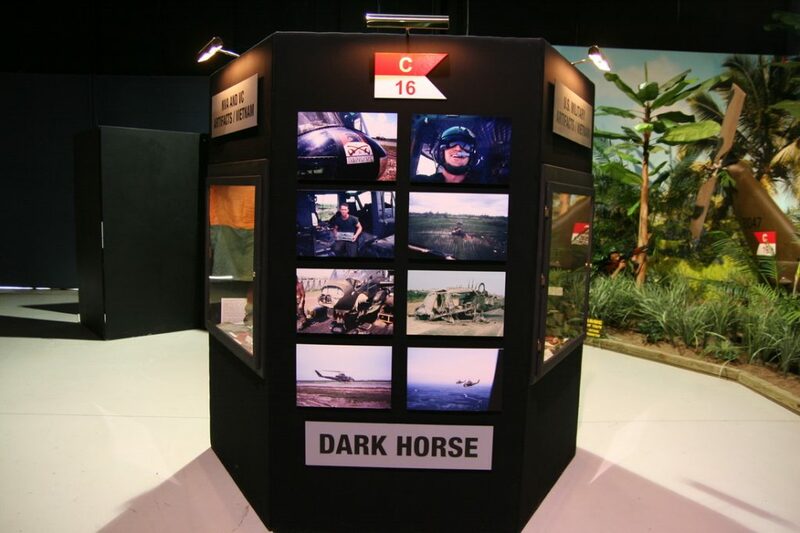 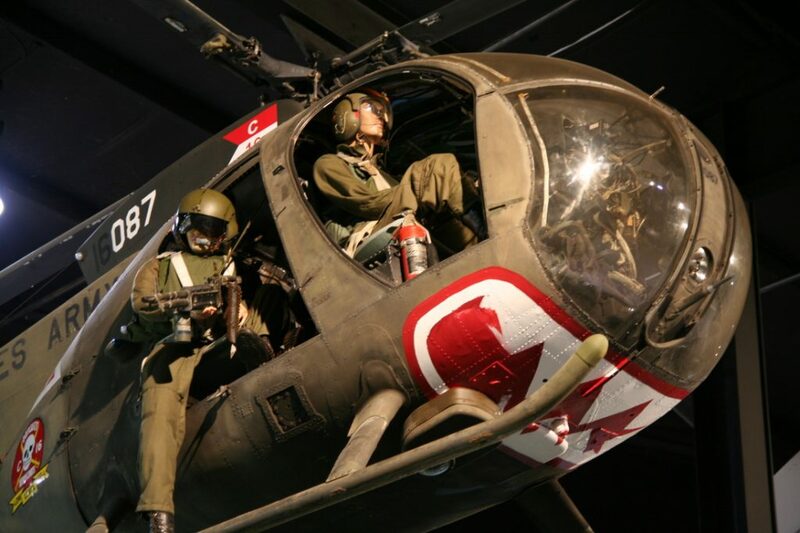 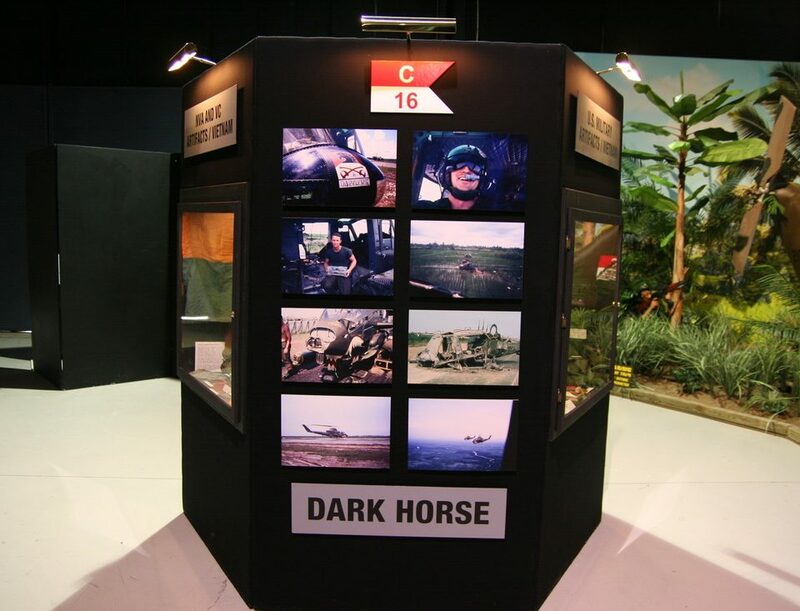 The Vietnam War Helicopters Exhibit & Diorama Display depicts a true story of American heroism within Troop C, 16th Cavalry Regiment. 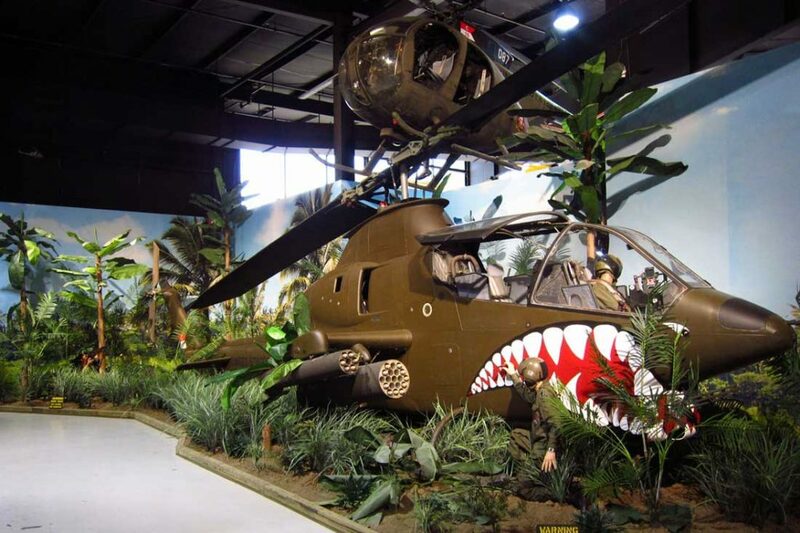 It stands as a tribute to all branches of the armed services and honors all who sacrificed in the Vietnam War. 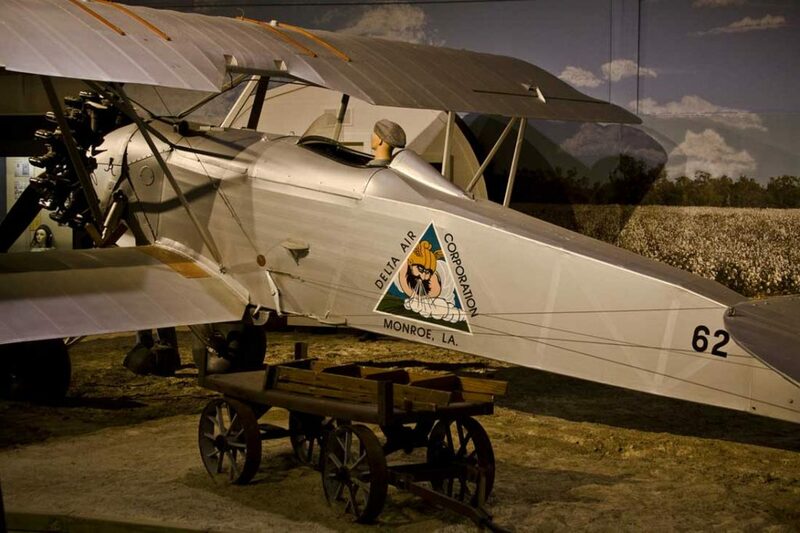 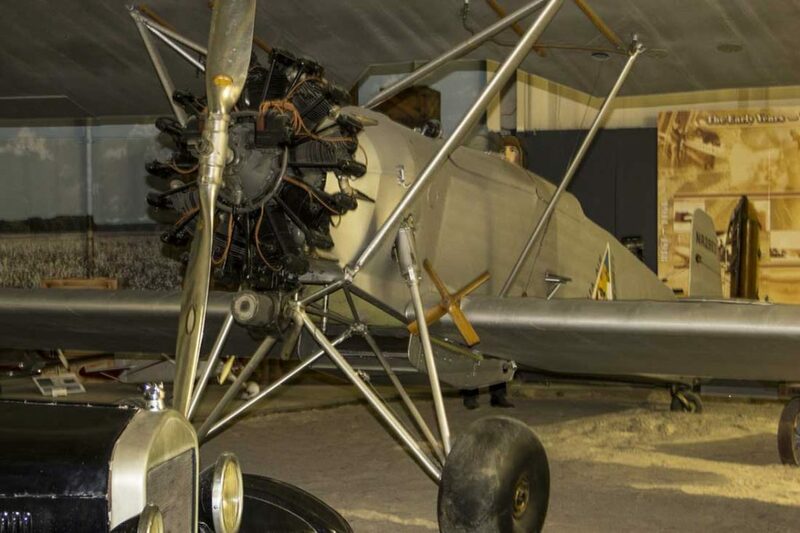 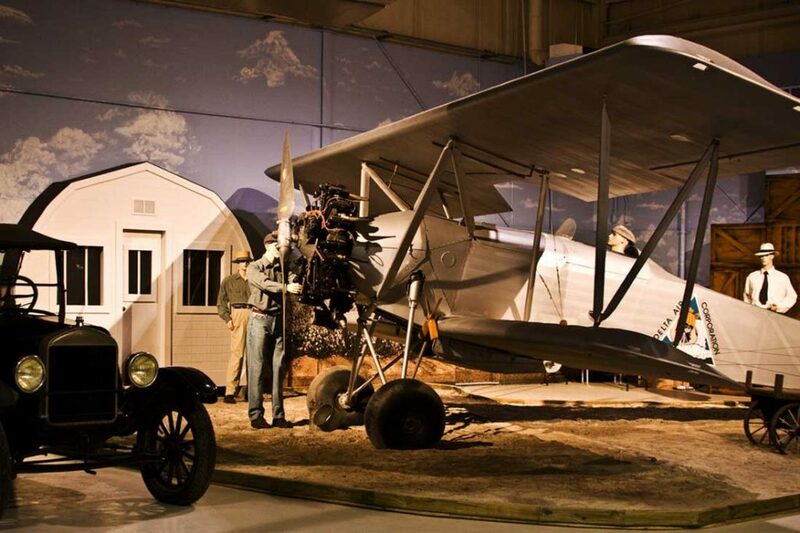 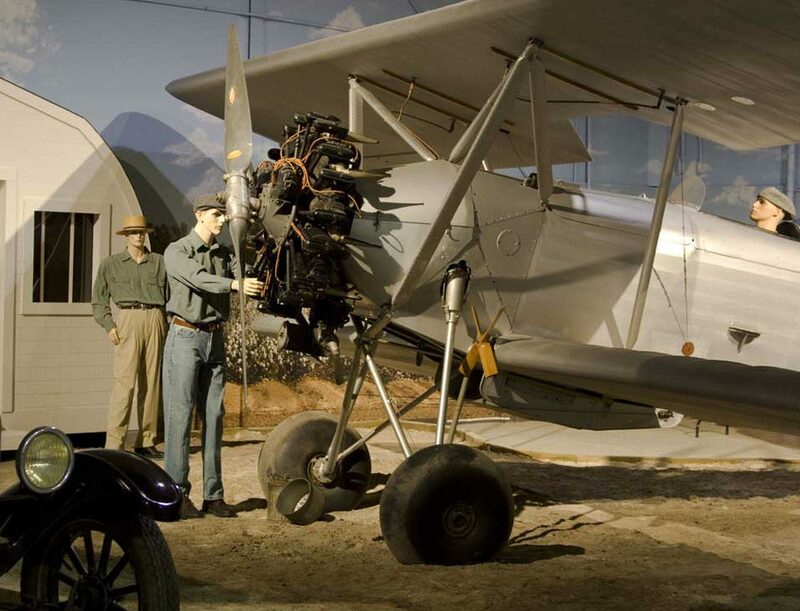 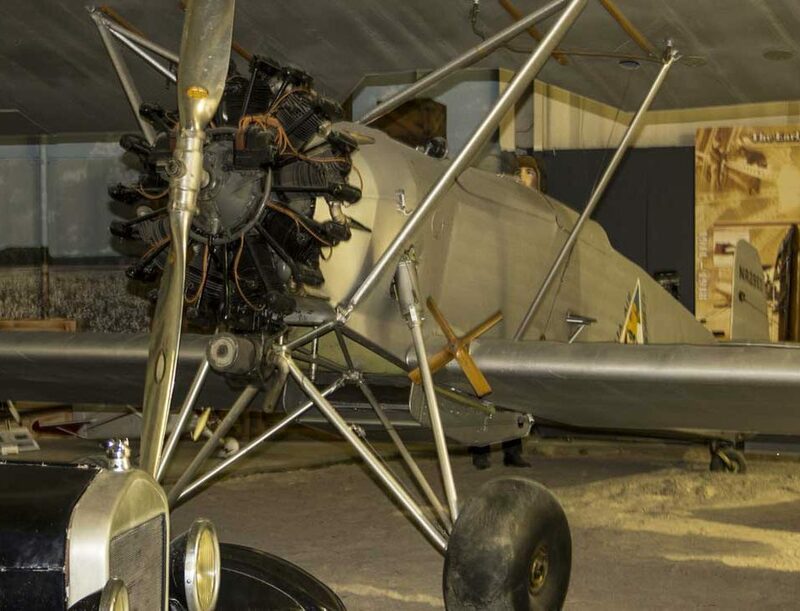 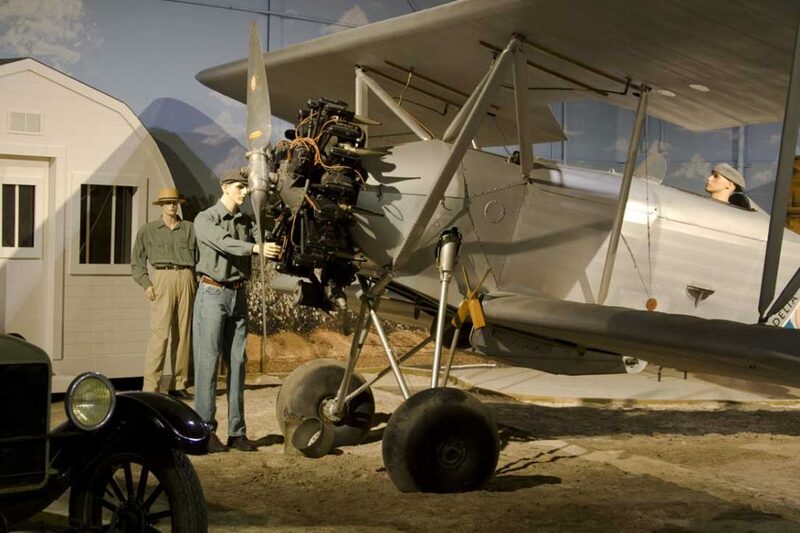 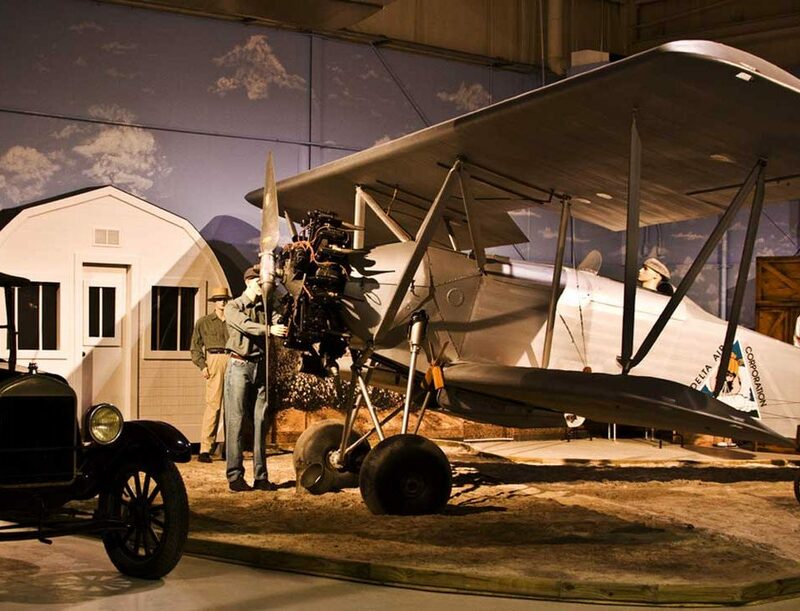 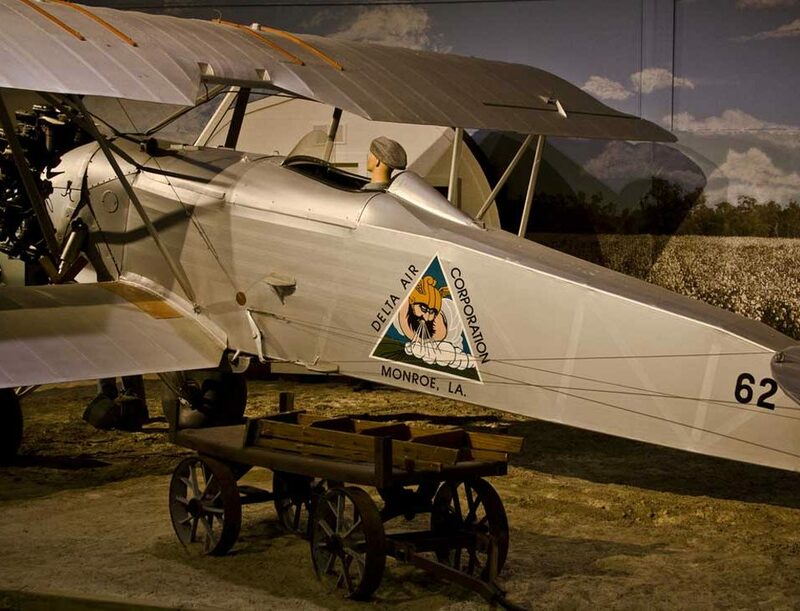 This exhibit features an all-original Huff-Daland “Duster” – a fabric-covered, cantilever-winged biplane structurally designed so that it had none of the wing brace wires that were common to the biplane designs of that era. 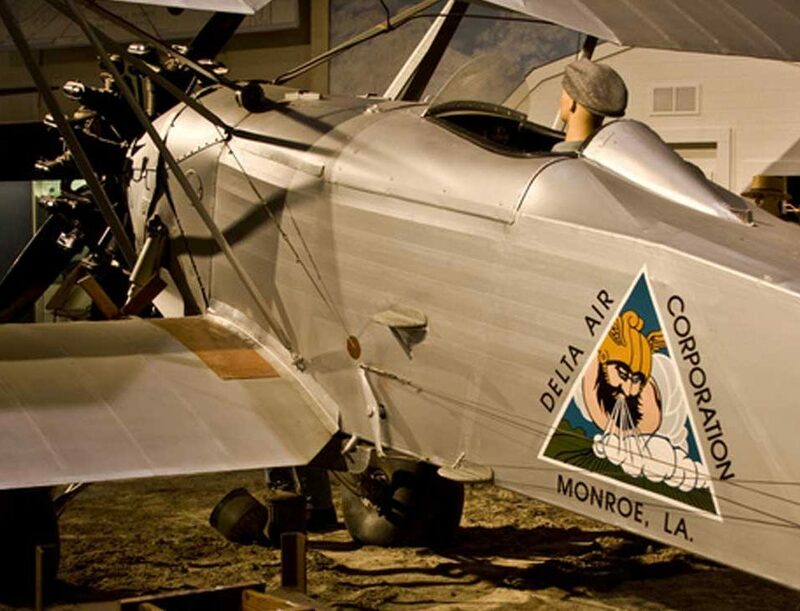 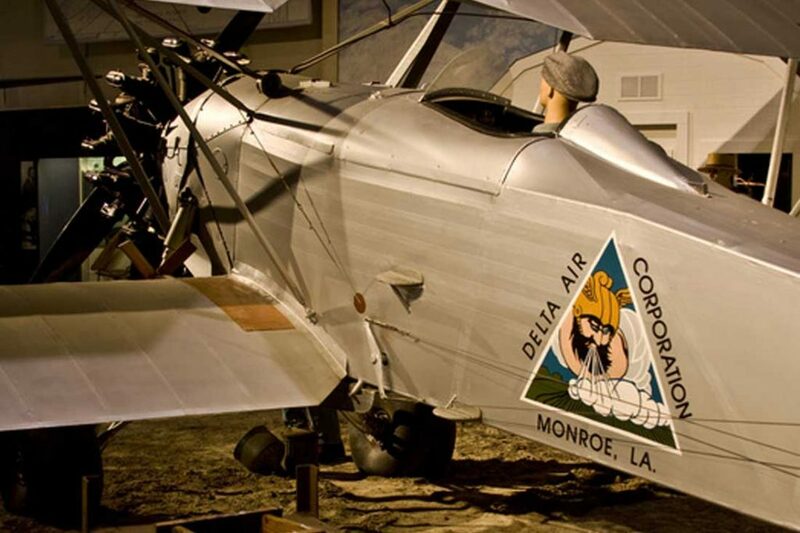 The display is set in Monroe, Louisiana during the 1920s when the Delta Air Corporation utilized these Huff-Daland aircraft as crop dusters. 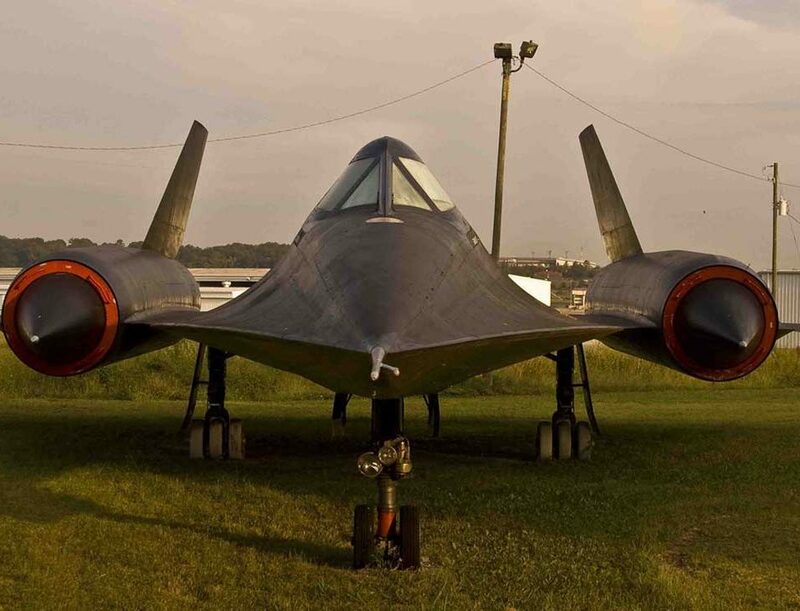 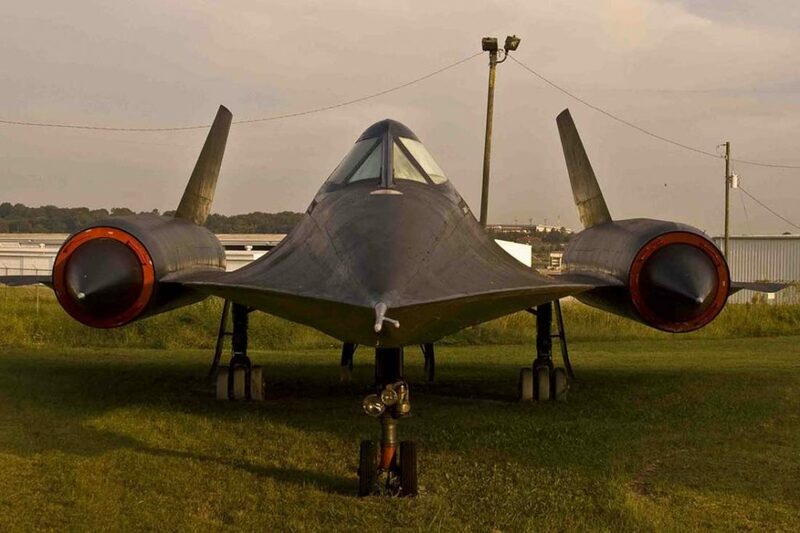 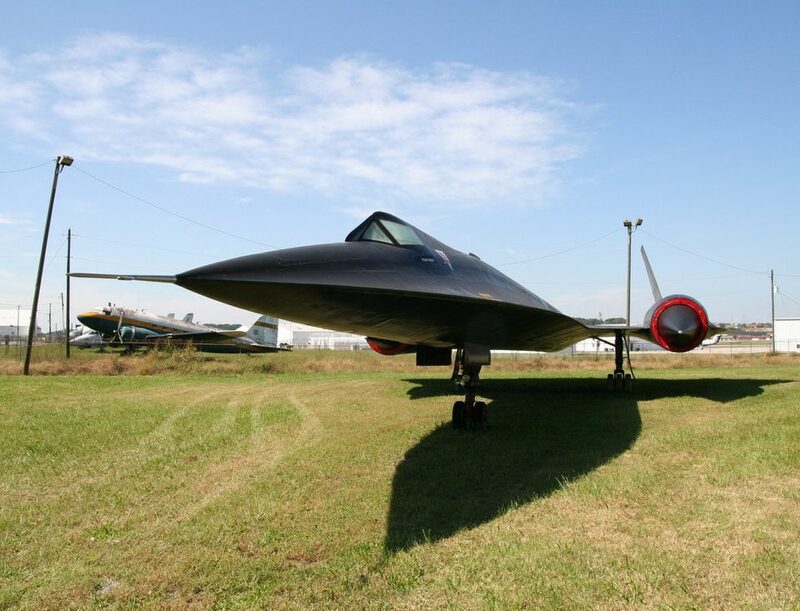 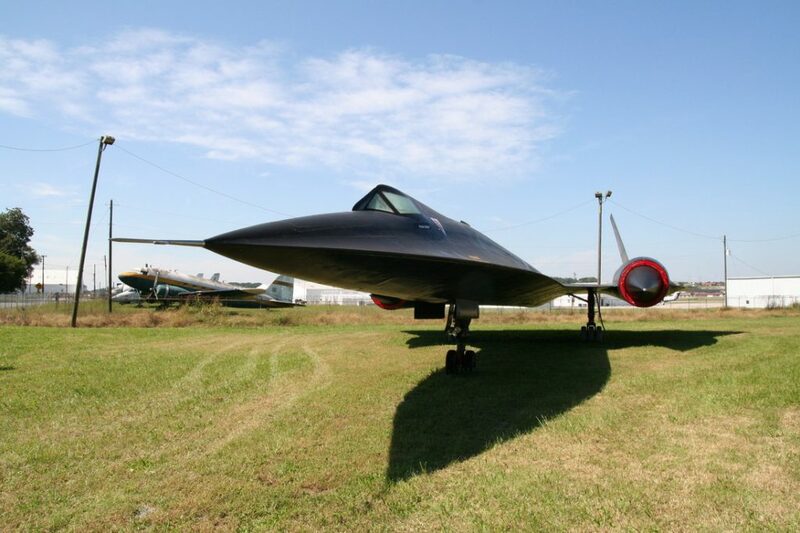 The A-12 Blackbird is just one of many aircraft on display in the museum’s outdoor collection.